Moody Gardens is excited about Galveston’s commitment to keeping its beaches beautiful! Galveston Island’s beaches recently received a makeover with the Beach Nourishment Project, allowing residents and island visitors to bury their toes in the beautiful new sand! The Beach Nourishment Project was a $6-million investment that added over 500,000 cubic feet of new sand to the Galveston beaches between 10th Street and 61st street. The goal of the project was to be done in time for the Kemp Ridley turtle nesting season! The Kemp Ridley turtles are the rarest sea turtles and are critically endangered. Just like Moody Gardens, the city of Galveston is committed to rehabilitating and conserving nature. On top of helping out Mother Nature, the Beach Nourishment Project was created to make the beaches more appealing for residents and island visitors. The city worked day and night to complete the project, which added over fifty feet of beach along the Seawall, creating an even more exciting and fulfilling beach experience! This holiday season, come to Galveston and check out the beautiful beaches, shops, and restaurants along the Seawall. While you’re here appreciating our beaches, rest your head at the Moody Gardens Hotel, one of the best places to stay in Galveston. In the summer season, when you don’t want to go to far from the hotel, we have our own beach right here on the grounds. Palm Beach is Galveston’s only white sand beach. Palm Beach also includes a Lazy River, Wave Pool, Tower Slides, Splashpad, and an Aquarium Adventure. While you’re at Moody Gardens’ own white sand beach, you’ll be surrounded by the lush botanical landscaping, and be near the famous Aquarium Pyramid and Rainforest Pyramid. 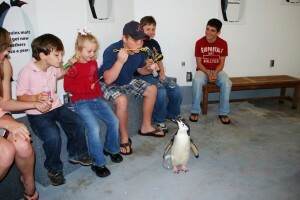 Come visit Galveston and Moody Gardens for your family weekend getaways in Texas. 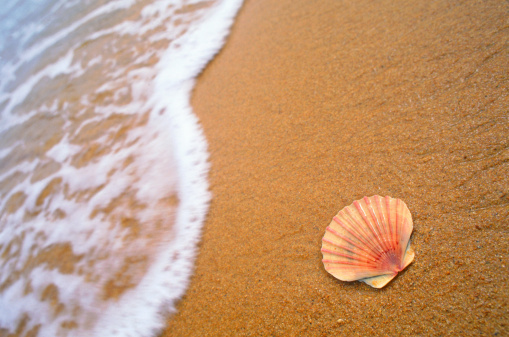 We look forward to sharing our beaches and accommodations with you soon. How Can You Use Moody Gardens Hotel? The Moody Gardens Hotel is more than just a place to rest your head at night! You can use the Moody Gardens hotel for your next corporate meeting, banquet, vacation, party, or even a wedding! Vacation: The Moody Gardens Hotel offers a variety of quality rooms and suites to stay in while on vacation in Galveston. We offer the finest accommodations on the island with each room designed to mirror the botanical beauty outside the window. Many of our 500-square-foot rooms offer extraordinary views of Galveston Bay. On the third floor, you can stay in one of Jacuzzi suites, which provide guests with an extended living area, marble bathroom, and a separate Jacuzzi area with a balcony overlooking the Galveston Bay and Pyramids. Meeting Space: The Moody Gardens Hotel has over 100,000 square feet of available meeting space that can host anything from large banquets to smaller meetings. We have the space to provide you with an intimate dinner or a convention of up to 2,000 people. Parties: If you’re looking to throw an incredible party or host a local event, we have the space and the catering capacity to take care of your party planning needs. With the help of our Catering Department, you can choose your menu and we can help take care of decorations, and even bring in entertainment. Weddings: Let the talented team of Moody Gardens’ professionals take care of every small detail of your wedding, from catering to floral design, and even entertainment options! For outdoor weddings, you can have the beautiful backdrop of The Rooftop Terrace, Palm Beach, or the Botanical Gardens. We also have thousands of square feet of indoor space to create your perfect day. Come take your family weekend getaway to Texas and stay at the Moody Gardens Hotel. While you’re here for a vacation, meeting, or in town for a wedding, don’t miss out on tee time at the Moody Gardens Golf Course, or a relaxing day at the Spa at Moody Gardens. Posted on December 21, 2012 January 4, 2013 Author Moody GardensCategories MG HotelTags family weekend getaway in Texas, Moody Gardens Golf Course, Moody Gardens Hotel, Spa at Moody GardensLeave a comment on How Can You Use Moody Gardens Hotel? Use Moody Gardens’ Website to Send a Postcard! Sending a postcard has never been easier with Moody Gardens’ online postcard service! You can participate in the vacation tradition of sending everyone back home a postcard without the hassle of buying the postcard, writing it, finding a stamp, and then mailing it out! Also, they will instantly receive your message, so you won’t be sending a postcard that gets back home after you do! The Moody Gardens postcard service is also completely FREE, which is way better than a real postcard. 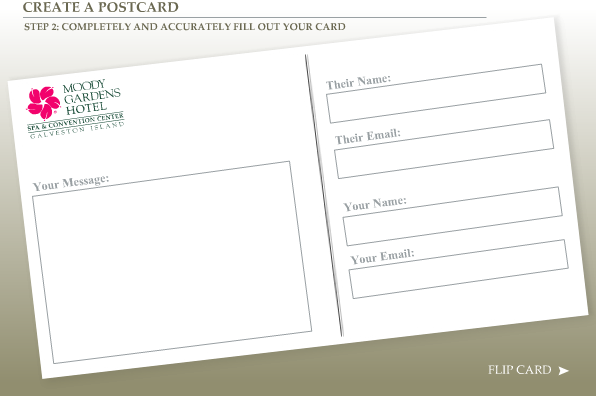 Simply click here and start filling out your postcard. All you need is a valid email address, and the receivers email address! You can write a postcard from the whole family, or let each individual family member send their own postcard. There is no limit! Choose from six postcard images that include the Moody Gardens Pyramids, a picture of a hotel room with the pyramids as the view, a picture of the Moody Gardens Hotel, the Spa at Moody Gardens, the Moody Gardens entrance, and the hotel pool! You can send a postcard with each image, talking about your experience at each place. Each postcard allows you to write a brief message, and you don’t have to worry about messing up or running out of space like on regular postcards. Online postcards are the way to go. If you’re looking for family friendly hotels with world-class service and incredible amenities, then look no further than Moody Gardens Hotel. We would love to accommodate you and your family on your next family weekend getaway to Texas, or for a weeklong vacation! You won’t run out of things to do with so many Moody Gardens Attractions to choose from, and with all the places to explore around Galveston. We look forward to seeing you soon. Posted on December 18, 2012 December 14, 2012 Author Moody GardensCategories Hotel, MG HotelTags family friendly hotels, family weekend getaway in TexasLeave a comment on Use Moody Gardens’ Website to Send a Postcard! At the Moody Gardens Rainforest Pyramid, you can experience one of the most authentic rainforest recreations in the world. The ten-story glass pyramid features over one thousand exotic plants and animals from the rainforests of Africa, Asia, and the Americas. A recent $25 million enhancement project has improved the attraction, making it more realistic and bringing you closer than ever to a true rainforest experience. As part of the enhancement project, a new walkway was built in the Rainforests of the World, which overlooks the endangered giant Amazon River otter exhibit. The unique walkway leads you into the pyramid at the canopy level. In the canopy level you can explore the rainforest from above, allowing you to get closer to the free-roaming tree-dwellers of the rainforest such as birds, sloths, white-faced saki monkeys, and cotton-top tamarins. Featured in the canopy walkway is one of the most famous attractions in Moody Gardens: the butterfly exhibit. Several species of beautiful butterflies flutter around you as you wander through. The next part of your journey takes you to the cloud forests, which are considered nature’s water towers. Observe the colorful frogs and artifacts from people of the rainforest before heading down to the rainforest floor. The nocturnal exhibit on the rainforest floor is home to a prehensile-tailed porcupine, African palm civet, and other creatures that only venture out after dark. On the rainforest floor you will also discover plants and animals from the Asian rainforest, such as the carnivorous pitcher plant, colorful orchids and fish, and two Chinese alligators. 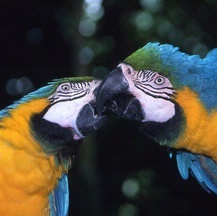 The rainforests of Central and South America are filled with colorful macaws, a spotted ocelot, and a flowing waterfall! You can also learn about the smells and spices of rainforest food in the interactive exhibit. Tour the Mayan ruins, home to a giant anaconda, piranha, caiman lizards, and even vampire bats! The final stop on your Rainforest Pyramid adventure is down the Africa trail where you can marvel at the spider plant, giant windowpane palm, and the dead rat tree. Don’t worry; there aren’t actually dead rats in the tree! On your way out, you’ll be able to experience the ground-dwellers of the rainforest, including a Daramaland mole rat, Brazilian rainbow boa, and a cobalt blue tarantula! Click here for ticket prices and more information. Don’t miss out on a visit to the Moody Gardens Rainforest Pyramid during your next family weekend getaway in Texas. Moody Gardens is the place to be for the best events in Galveston. Learn more at www.moodygardens.com. We hope to see you soon! Experience the beauty of the North Pacific, South Pacific, South Atlantic, and Caribbean with a visit to the ten-story blue-glass aquarium building. This incredible attraction features 1.5 million gallons of water and more than ten thousand marine animals. The Aquarium Pyramid is divided into four regions, each representing a different area of the oceanic world. The Caribbean Exhibit is the largest of the four. It features sharks, sea turtles, eels, and thousands of beautiful tropical fish that swim overhead as you wander through an underwater tunnel. The tunnel completely surrounds guests and is filled with one million gallons of water. The penguins of Moody Gardens reside in this area of the pyramid! The South Atlantic Exhibit is designed to closely resemble the rocky beaches of the South Georgia Islands. You can view the penguins from both above and below the surface. With our Penguin Encounter program you can even get up close with the penguin residents and take home some of their fabulous artwork. The furry seals reside in the North Pacific Exhibit. Watch as they play on the rocky shore and dive into the water. A few feet away, you can watch the sea urchins, anemones, and other colorful marine creatures in the tide pool. A kelp forest houses the rich and diverse underwater world representing Northern California to the Gulf of Alaska. Go on a journey through the depths of the Great Barrier Reef and Coral Sea! The South Pacific Exhibit features a tide pool with vibrant sea anemones and sea urchins. In the lower level, you can see more than 200 species of fish, stingrays, and sharks in their beautiful underwater environment. The newest exhibit at the Moody Gardens explores shark fact versus fiction, shark anatomy, and shark behavior through hands-on activities. Learn how sharks survive, how they sense their pray, and what threats there are to the shark population. This exhibit is better than Shark Week! With an Aquarium Pyramid Shark Passport, you can learn to identify shark species from around the world. If you’re looking to plan your family weekend getaways in Texas, don’t miss out on the Aquarium Pyramid at Moody Gardens. As part of our recent holiday offer, you will gain admission to the Aquarium Pyramid! Do you love charity and the Moody Gardens Festival of Lights? You’re in luck! Every Friday night, if you bring a non-perishable food item, you can get 2 for the price of 1 admission! Moody Gardens is teaming up with the Galveston County Food Bank to provide for those who have fallen on hard times this holiday season. The Galveston County Food Bank is an interfaith community-based organization established to receive surplus food from generous institutions willing to provide for those less fortunate than themselves. Their program is called Gleanings From the Harvest, which is a food procurement and distribution network. 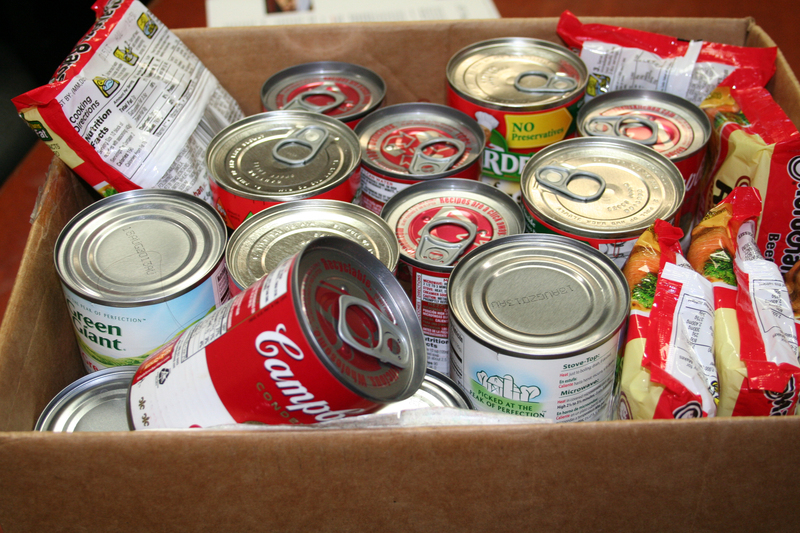 It provides food to those who most need it; this includes the destitute and the families in Galveston County who are considered the “working poor”. Moody Gardens loves charity and would like your help in feeding those in need around the Galveston area. Please consider stopping by our Festival of Lights Friday Food Drive to be a part of this great charity. We promise you won’t be disappointed! Not only will you feel like you’ve contributed to something great, but you’ll also be able to enjoy our famous Festival of Lights at a discounted rate! Our Festival of Lights is a great Houston holiday event for those looking for a family weekend getaway in Texas. We offer more than 1 million lights within 100 sound-enhanced animated light displays. But that’s not all! We also offer live entertainment every night, a delicious Festival of Lights Buffet that you just can’t miss, and the area’s only outdoor ice skating rink. While you’re visiting, take a picture with Santa or watch a holiday film in one of our theaters. If you’ve visited Moody Gardens before, we’ve added something new this year! Enjoy snow tubing down the Arctic Slide. All of these attractions are open every night the Festival of Lights is open. Don’t forget, you can make a weekend of it! We offer one of the best family friendly hotels in Texas. So put Moody Gardens Festival of Lights Friday Food Drive on your calendar. We promise you won’t be disappointed! For more information on our Holiday Events, visit us here.